At the farmer's market I spotted a basket full of beautiful Cipollini onions. I couldn't resist their miniature onion form. The nice thing about Cipollini oinions as they can be used the way you would treat any yellow onion, or they can be served as their own complete side dish. These onions love tangy things, and sweet things, and buttery things, and being roasted. This recipe doesn't need to be followed too closely. You can make more onions, add fresh or dried herbs, try Sherry vinegar instead of Balsamic, skip the butter, or add more butter. The basic idea is add an acid, a sweetener, a fat, salt, and roast them in a baking dish at 400°F for 25-30 minutes, or until they are caramelized and wonderful. Peel the Cipollinis by placing them in a bowl and covering them with very hot water. Let them sit for 5 minutes. Using a pairing knife, you will easily be able to remove their peels. 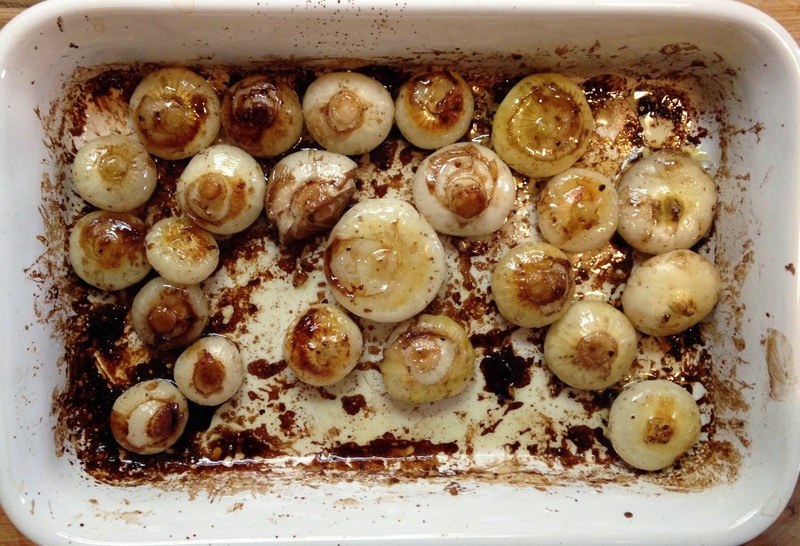 Place the peeled onions in a baking dish. In a small bowl, combine the balsamic and maple syrup. Drizzle the mixture over the onions. Add the butter to the dish. Place small pieces of butter in different parts of the dish. Drizzle the onions with olive oil. Season everything with salt and pepper, and fresh herbs. 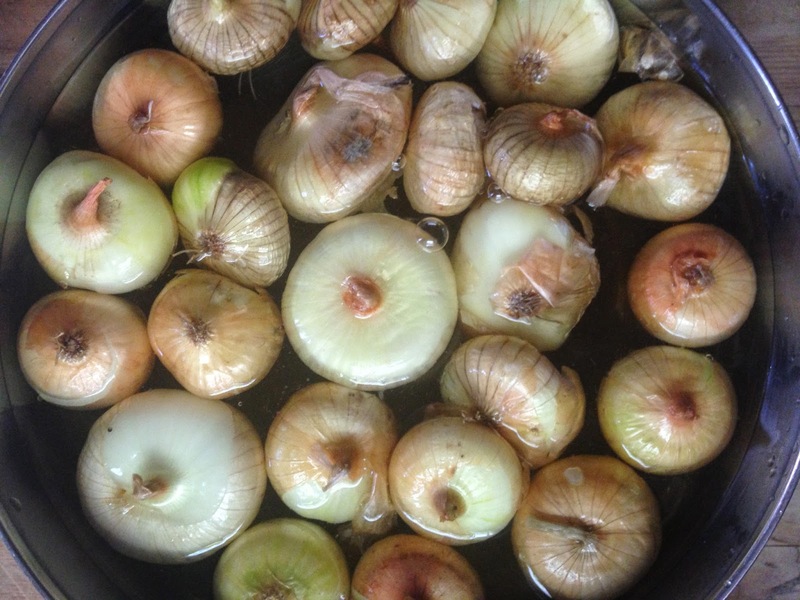 Roast for 25-30 minutes, or until the onions are tender and caramelized. Halfway through cooking, mix the onions in the dish and place it back in the oven. These can be served as a side dish. I ate them atop a lemony spinach salad. The leftover bits in the dish should be mopped up with good bread.